No EU agency can replace the role of member states, said Czech MEP Jan Zahradil, putting a ‘Great Review’ of EU powers at the heart of the manifesto for his European Conservative and Reformist (ECR) party, launched on Wednesday (28 November). A protégé of former Czech Prime Minister and President Vaclav Klaus, Zahradil was formally unveiled on Wednesday as the Spitzenkandidat for the ECR ahead of next May’s European elections. “We are pro-European but anti-federalist. We believe that the EU should be decentralised,” Zahradil said at the campaign launch, in a room above one of the popular watering holes on Place Luxembourg, a stone’s throw from the European Parliament. Having derided the EPP’s primary battle between Weber and Finland’s Alexander Stubb as a choice between ‘Coke Zero and Coke Light’, Zahradil told reporters that the same analogy applied to Weber vs Frans Timmermans, the Socialist candidate. 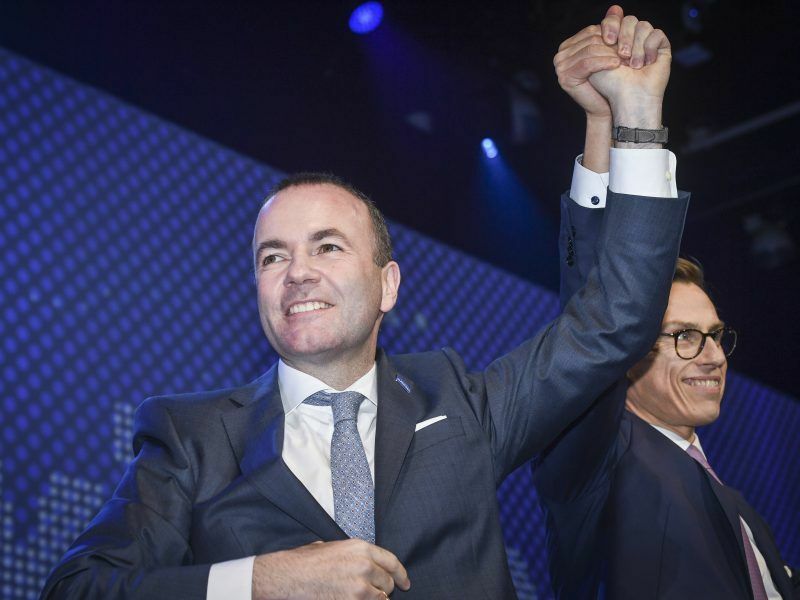 German Manfred Weber was crowned Spitzenkandidat of the EPP, the European Parliament’s largest party, on Thursday (8 November), after he swept to victory in a contest that saw ex-Finnish Prime minister Alexander Stubb win only 20% of the votes. An MEP since 2004, Zahradil joins a field of Spitzenkandidaten that includes the EPP’s Manfred Weber, Timmermans for the Party of European Socialists, while Ska Keller and Bas Eikhout are co-candidates for the Greens. The liberal ALDE and far-left GUE are yet to decide on a lead candidate. The Eurosceptic group was the only major pan-EU political party not to pick a lead candidate ahead of the 2014 elections, and Zahradil told EURACTIV.Cz in September that he wanted to stand as the ECR’s lead candidate for the Parliament rather than for the European Commission presidency. 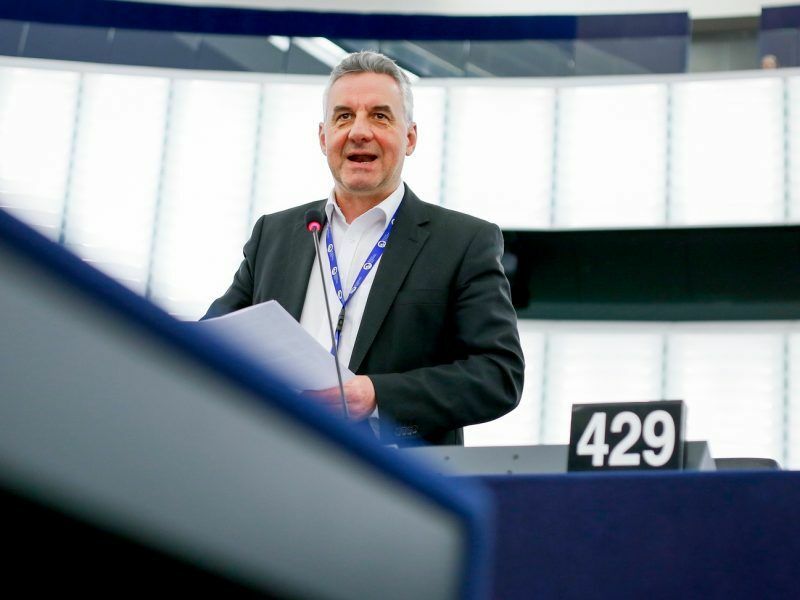 Czech MEP Jan Zahradil has recently announced his intention to become the ECR’s lead candidate for the 2019 European Elections. He is a supporter of a multi-speed Union, with freedom for member states to pursue a foreign policy that best suits their own interests. The ECR is currently the third largest faction in the European Parliament with 73 seats, but Brexit has serious consequences for the health of the ECR group, with the 18 UK Conservative MEPs four months away from losing their posts. However, Zahradil insisted that the ECR would survive the loss of its largest national delegation, arguing that each of the ECR’s member parties were likely to perform better next May than at previous elections. “We will fill the (UK) gap from our own resources,” said Zahradil. He added that the expected losses for the EPP and Socialist groups would be part of a “big reshuffle” within the Parliament. “There is a lot of open space and we would like to benefit from that,” he said. At the heart of the ECR’s manifesto is a demand for a ‘Great Review’ of EU powers, including a ‘thorough revision’ of the EU’s diplomatic agency, the European External Action Service, and of the funding of EU agencies. It also proposes more control for national parliaments over EU lawmaking. That would include a ‘red card’ procedure under which one-third of national assemblies would be able to block a new EU law, and a review clause to allow parliaments to propose scrapping an EU law. The ECR also wants to amend the EU treaties to create a ‘multi-currency EU’, giving countries the right to stay out of the euro area or to leave it, and to establish a single seat for the European Parliament, which currently alternates between Brussels and Strasbourg. However, they want the EU to do more to be a ‘pioneer’ in promoting free trade. The next European Commission should sign at least ten free trade deals with countries from Asia, Africa and Latin America, said Zahradil.